Those who descend from one common progenitor; a tribe or race; kindred; lineage. A brotherhood of persons or nations united by political or religious ties. 17 Honor all people, love the family of believers, fear God, honor the king. When we are born, we become part of our earthly family. They provide us with our physical needs. They teach us about love, unity, and care. We form a bond that lasts a lifetime. We become part of its history. When we are born again, we become part of our spiritual family. A unity formed by our belief in Jesus Christ, his resurrection, and our salvation. It teaches us about loving one another, honoring those around us, and respecting each other. 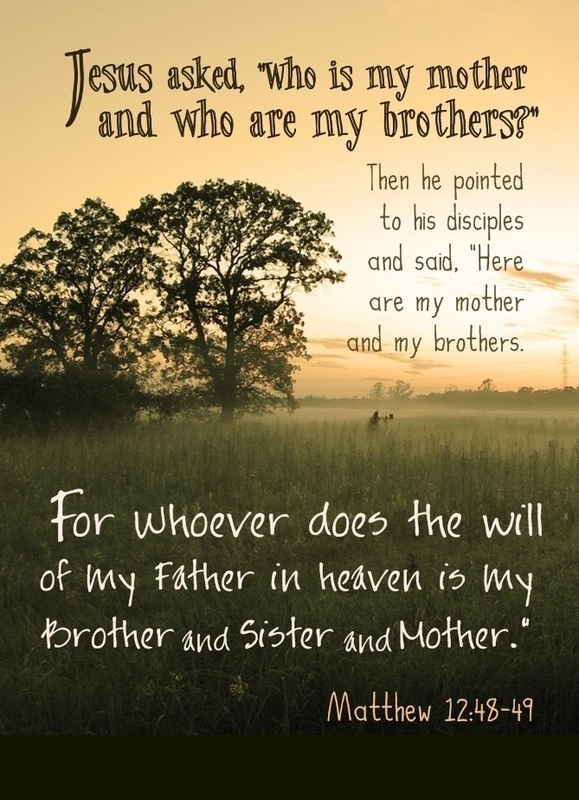 We are part of the body of Christ; we become sisters and brothers in faith. We form a bond that last through eternity. We become part of the Book of Life. I thank my parents for giving me life, so that I could live and choose to love God, and so I could find His promises of life everlasting, faith by His Grace, and love unconditional. 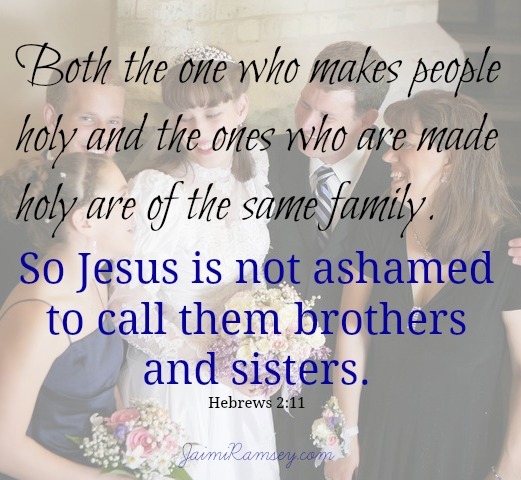 Do you have a spiritual family? 13 – children not born by human parents or by human desire or a husband’s decision, but by God. Categories: devotions, god, guidance | Tags: Active obedience of Christ, Authorized King James Version, Bible, Book of Life, born again, born of spirit, Earthly Family, family, spiritual family, Word Family | Permalink.